Good start to Monday. 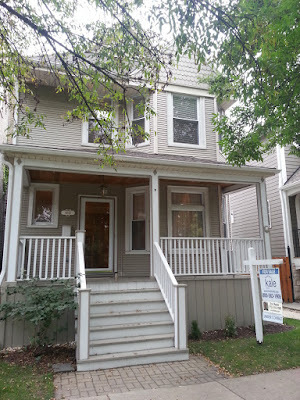 Stopped by a client's house early this morning to fix a closet door (before an afternoon showing) and headed over to my final walk-through at 4845 N Hamilton in Lincoln Square. We have showings and closings later this afternoon for a busy start to fall season. Either Bob or I attend every showing, walk-through, inspection, appraisal and closing for our client transactions.